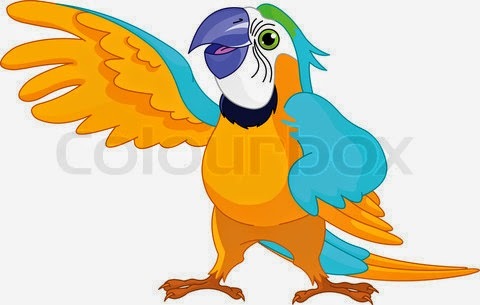 There is an old story about a fellow who lived alone and went to a pet store to buy a parrot. He thought the bird might fill some of his lonely hours. The very next day, however, he came back to complain, "That bird doesn't talk." The store owner asked if he had a mirror in its cage, and the man said he didn't. "Oh, parrots love mirrors," he explained. "When he sees his reflection in the mirror, he'll just start talking away." So he sold him a birdcage mirror. The bird owner was back the next day to gripe that his parrot still hadn't said a word. "That's very peculiar," allowed the pet expert. "How about a swing? Birds really love these little swings, and a happy parrot is a talkative parrot." So the man bought a swing, took it home, and installed it in the cage. The man was back at the pet store when it opened the next day. From the look on his face, the owner knew something was wrong. "Didn't your parrot like the ladder?" he asked. His repeat customer looked up and said, "The parrot died." "I'm so sorry," the stunned businessman said. "Did he ever say anything?" "Well, yes. He finally talked just before he died. In a weak little voice, he asked me, "Don't they sell any bird seed at that pet store?'" There is a spiritual hunger in the human heart that can't be satisfied by seeing one's own image reflected back in vanity mirrors, playing with our grown-up toys, or climbing the corporate ladder. Our hearts need real nourishment.The love of family and friends, relationships over the pursuit of more things, personal integrity, a secure connection to the Higher Self -- these are the things that feed the soul.